Dublin will play in their first HL Division 1 semi-final since in four years when they face All-Ireland champions Limerick in Nowlan Park, Kilkenny this Sunday (1.30). On that occasion in 2015 the Dubs lost to Cork by the minimum 1-27 to 2-23 - a game in which Mark Schutte hit 1-5 from play. For the Shannonsiders it will be their third semi-final in successive years - they lost to Tipperary in extra-time last year and to Galway in 2017. Limerick last reached the Division 1 final in 2006 (they lost to Kilkenny) while Dublin were last there in 2011 when they beat Kilkenny. Limerick’s only defeat in this year’s League came in Round 4 of the 1A campaign when they lost to Cork, while Dublin’s only defeat was against Galway in Round 3 in 1B. Mattie Kenny’s men pulled off a great win over Tipperary in the quarter-final last Saturday, the first win a Dublin team had enjoyed over the Premier County on Tipp soil since 1946. The last Dublin v Limerick League game was in 1B last year when John Kiely’s men won by 12 points in the Gaelic Grounds. Here we look back on that defeat to Limerick from over 12 months ago. 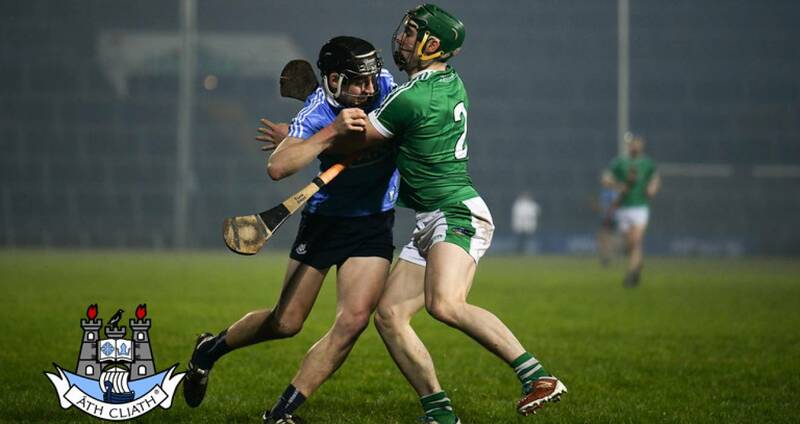 Limerick powered their way to a 12-point victory over Dublin in this HL Division 1B clash at the Gaelic Grounds. The Shannonsiders were clearly the better team on the night and their interplay and ability to create time and space for team-mates saw them cruise to a facile win. O'Donnell was one of Dublin's best performers on Saturday night in a game where Dublin's defence was under sustained pressure owing to the fact that the Dubs struggled to win a regular supply of primary ball in attack. Fergal Whitely and Donal Burke toiled hard throughout and the Na Fianna man was unlucky not to have been awarded frees on several occasions when he appeared to be clearly fouled when in possession. One of few positive notes on the night for manager Pat Gilroy's men was the display of Danny Sutcliffe as he scored 0-5 from play as looked more like the dynamic player of a few seasons past. Top scorer for the home side was Aaron Gillane, an U21 in 2017 when Limerick won the All-Ireland, who only passed a fitness test shortly before throw-in. He finished with a tally of scored 1-9 (0-7f) including the first half penalty which put them well on the road to victory. The Shannonsiders had eight different scorers as they enjoyed a 1-13 to 0-7 interval lead and there was to be no heroic comeback by the Dubs in the second period. After a decent opening spell Dublin scored just twice in the concluding 15 minutes of the first half - Sutcliffe and Donal Burke converted his third free. Limerick restarted on the front foot with two Seamus Flanagan points and Gillane also on target as they moved 1-18 to 0-8 ahead by the 45th minute. Conal Keaney moved out the field and his determination and power began to see Dublin get more into the game. However, Limerick's ability to pick off long-range points and find time and space in attack saw them run out 12-point victors. SCORERS – Limerick: A Gillane 1-9 (0-7f), T Morrissey, D Reidy (0-1f) 0-4 each, D Byrnes (0-1f) 0-3, G Hegarty, S Flanagan 0-2 each, P Ryan, B O’Connell 0-1 each. 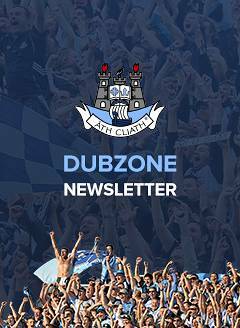 Dublin: D Burke 0-6 (0-6f), D Sutcliffe 0-5, C Keaney 0-2, F Whitely, C Boland, E O’Donnell, F Mac Gib 0-1 each. LIMERICK: N Quaid; S Finn, S Hickey, R English; D Byrnes, D Hannon, D Morrissey; P Browne, C Lynch; G Hegarty, T Morrissey, D Reidy; A Gillane, S Flanagan, B Murphy. Subs: P Ryan for Gillane (48), O O’Reilly for Murphy (54), B O’Donnell for Hegarty (57), R McCarthy for Hickey (66). DUBLIN: A Nolan; P Smyth, E O’Donnell, B O’Carroll; T Connolly, C Crummey, S Barrett; C McBride, N McMorrow; F Mac Gib, C Keaney, D Sutcliffe; F Whitely, C Boland, D Burke. Subs: C Costello for McBride (24), D Kelly for O’Carroll (ht), R Hayes for McMorrow (ht), L Rushe for Boland (ht), J Madden for Connolly (70).